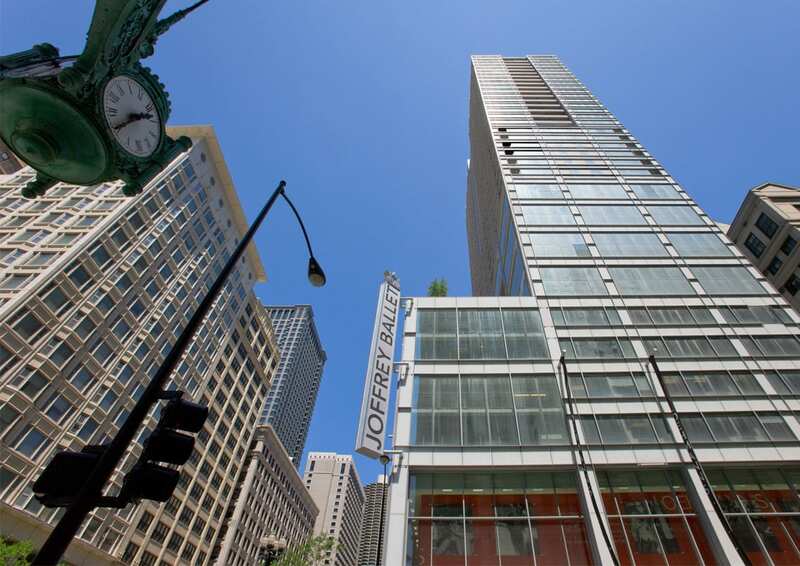 In the late 2000s, Joffrey Tower contributed to the rejuvenation of the Theater District in the Chicago Loop, now a vibrant mixed-use corridor. 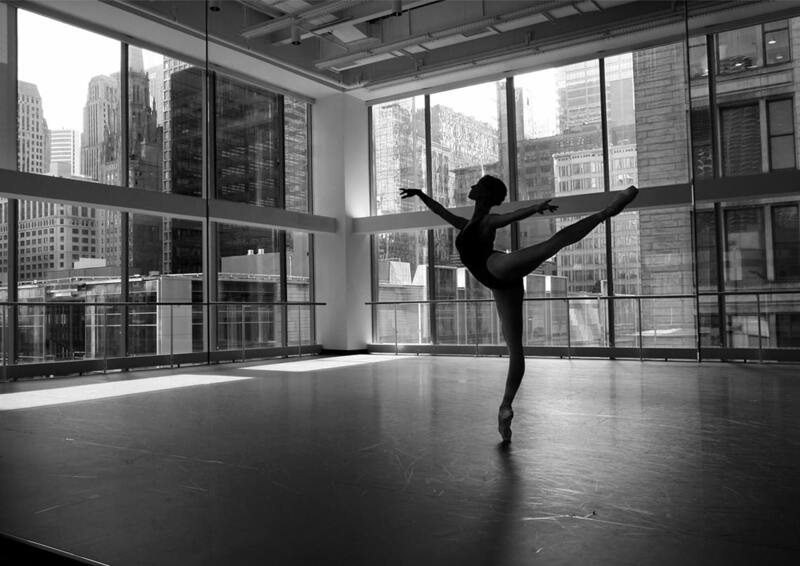 Completed in 2008, the tower combinines the flagship Walgreen’s store, the Joffrey Ballet headquarters, and a 23-story residential tower. 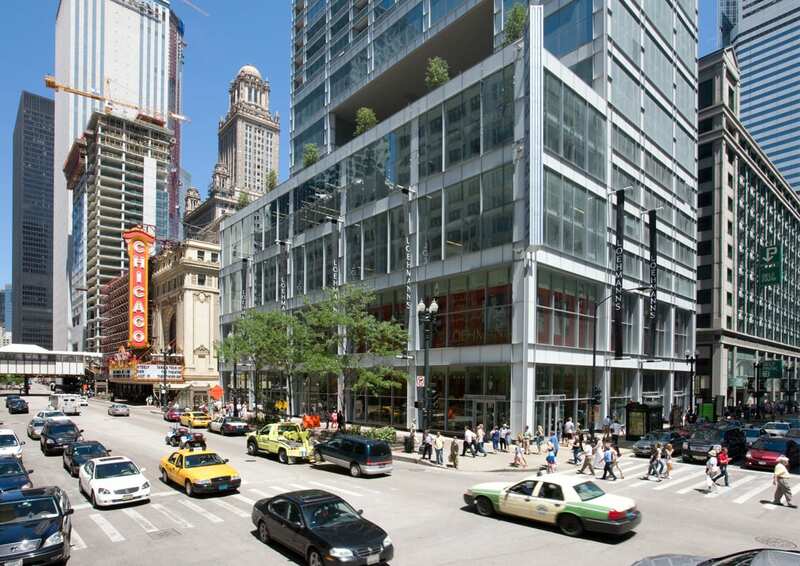 At the corner of State and Randolph, the building sits at the heart of activity in the Loop. 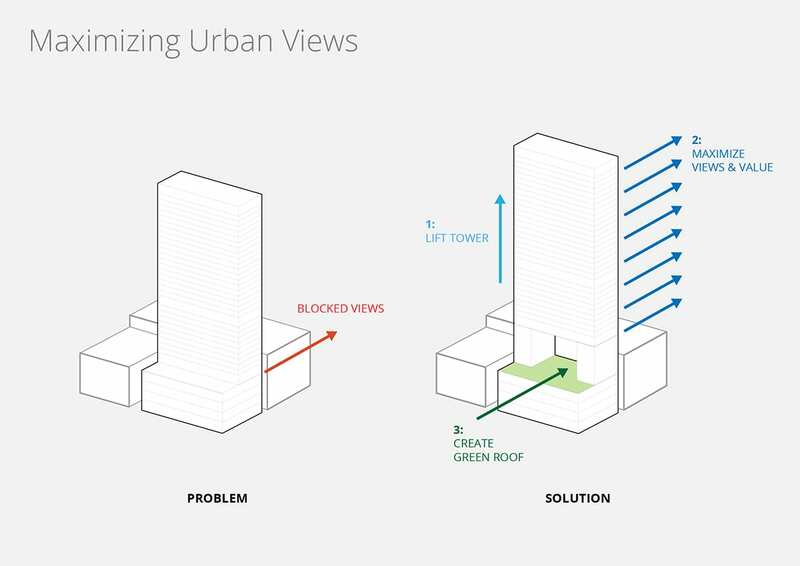 A unique structural framework articulates the separation of residences from retail and commercial space: a four-story steel-framed podium provides a strong base for two eight-story legs that lift a concrete residential tower above adjacent structures. 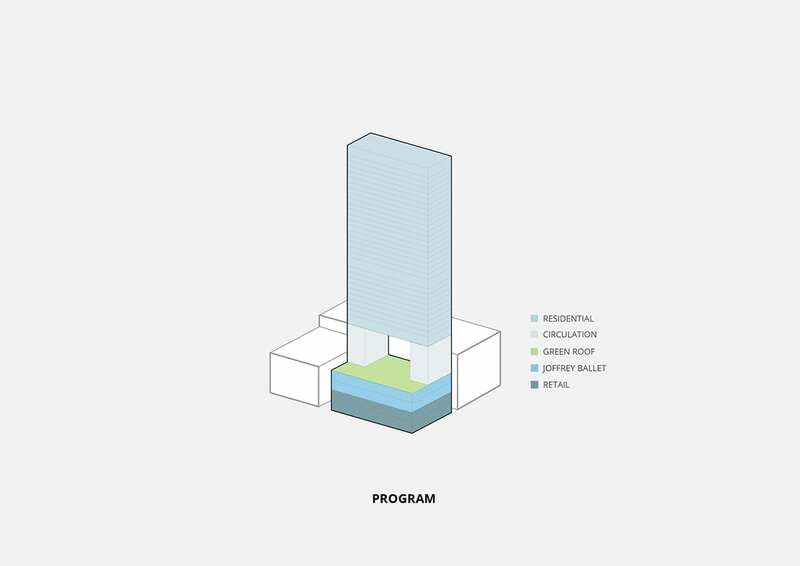 The elevated residences offer stunning views of Lake Michigan. 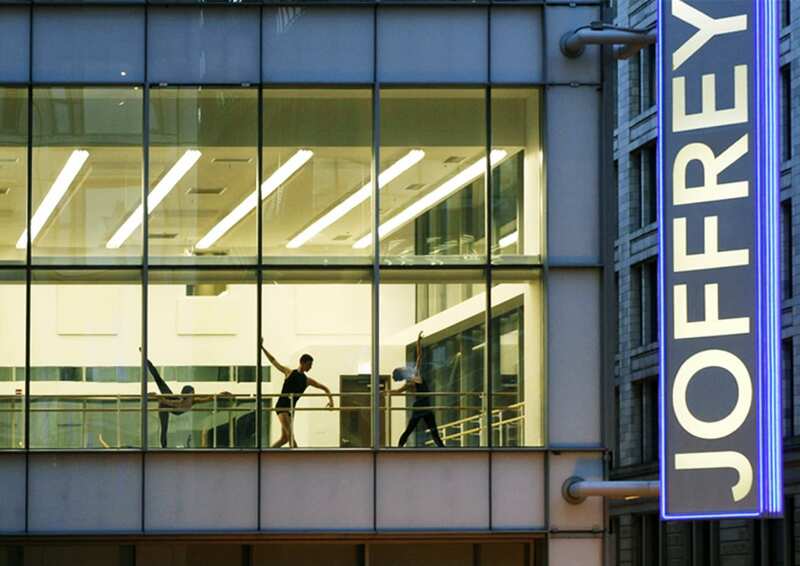 The podium is capped with a green roof and offers glimpses of ballet rehearsals to pedestrians on State Street. 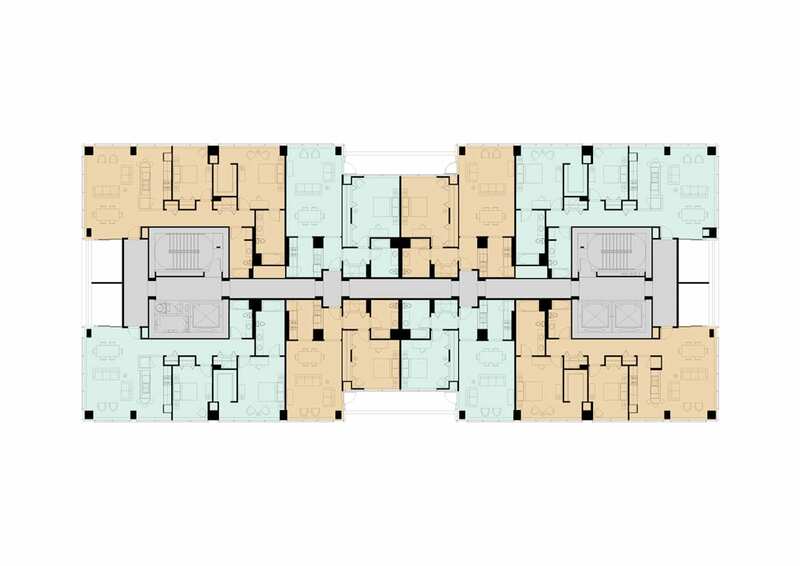 The projecting aluminum curtain wall mullions create varied shadows and depth across the building façade throughout the day. 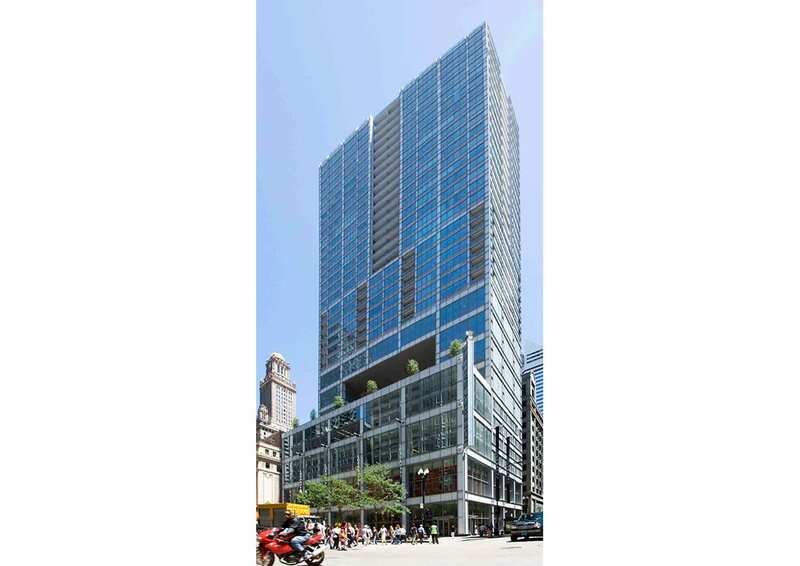 The building’s overall form advances the spirit of strength, clarity, and directness that defines Chicago architecture.